They’ve come a long way from being so drunk on a minor stage that they were sick on their own amps – and some of us will always remember that. Having reached heights most angry teen bands never attain – Bring Me The Horizon are back with their latest album, amo. How will this latest addition to their discography stand against their past? With an almost ambient, synthesised intro, you’d be forgiven if you feel this is a far cry from Bring Me The Horizon’s roots, and it almost feels like a soft threat. Until about a minute in that is. Although a good distance from their brutal, gritty roots, which the version of me who is younger and skinnier with a longer fringe and far more angst secretly yearns for, it’s still full of moodiness and anger; albeit more restrained these days – just like this reviewer. MANTRA, as the first full track of the album, is a perfect marker of where the band have ever so deftly begun to occupy. Gone is the lo-fi grit from live recordings done raw from a second-hand guitar amp – but it has been replaced by a polished studio distortion pedal. The band is now accessible. They’re still capable of loading their tracks with lyrics any reformed ‘emo’ would be seriously proud of. But like this reviewer, the band had to lose their dark clothing, fringes and constant scowl as we grew up and got day jobs. It feels like the band have obtained this level of ‘adulting’ but they still meet up every weekend to pick up their instruments…and maybe throw on a bit of heavy black eyeliner. ‘nihilist blues’ and ‘in the dark’ have more ‘club style’ keyboard effects and soft guitar picks respectively than I ever would have expected the band to have when they first appeared, full of metal and grindcore rage. But this sound isn’t a departure from what they are – it’s just an evolution. At their core, the band hasn’t changed, they’re still singing the same style of song, but the instruments and way they utilise them, the effects they use – this is where they’ve adapted. You’d be as happy to leap around to this track in a mosh pit or an inner-city club. Tucked away with this clubland tinged section, comes ‘ouch’. The vocals so tuned it could have been Ellie Goulding guesting on the track, right up until the profanities kick in anyway… However, only coming in at 90 seconds, the track is actually an interesting punctuation to the album. Wonder Life is a great return to their early days, one album in and getting bottled at Killswitch Engage tours (I hope they laugh about this now, and realise this reviewer behaved himself). Full of guitars being thrashed hard enough they border on discordant and clapping rhythms designed to rile up a crowd, all topped up with plenty of teenage angst. That’s the Spirit was arguably the album that shot them within spitting distance of ‘mainstream’, gaining them a surprising amount of playtime on stations such as BBC’s Radio 1 – even with pop-heavy DJ’s. So it’s not a big shock to find more songs in the same vein as songs on this album. 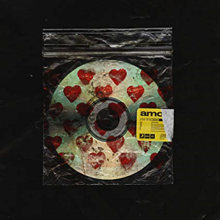 Amo is the sixth studio album by British rock band Bring Me the Horizon. ‘medicine’ is one such song. It’s borrowed more from the almost over-edited guitars and reverbed vocals from the last album – but like the rampant success of the last album – it’s not been done badly. Sugar honey ice & tea (yes, it’s the cheeky acronym meaning), follows this theme as well. It’s a bit more saccharine (pun totally intended) than some of the other entries on the album, but the band break this up with a rare, squealing guitar solo and some old-school growling vocal breakdowns. At 13 tracks long, the album was never going to be a full deck of strong songs. That’s usually the rule anyway. 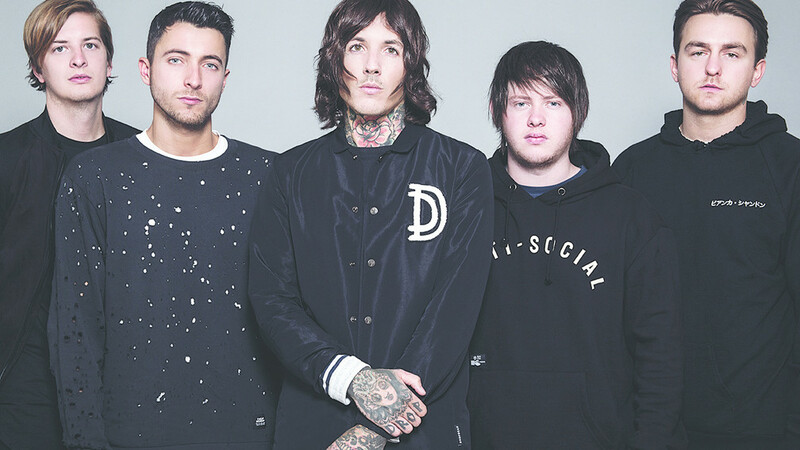 Happily breaking this, Bring Me The Horizon have defied a set of precedents. Sweeping from integrating brass and trap beats in ‘why you gotta kick me when I’m down?’, moving to some head-rattling basslines and heavily engineered vocals in ‘fresh bruises’ and even a love song replete with orchestral strings in ‘mother tongue’ (it also provides meaning behind the album title). The band have produced a serious album here – no fillers found. Right at the tail end of this juggernaut of an album comes ‘heavy metal’. By name as by nature, the song is no lightweight in terms of overdrive and bass. There’s also a feature here from the legendary beatboxer and rapper Rahzel, showcasing his ability to sing and drop beats simultaneously – a genuinely shocking inclusion, even considering the level the band has attained. Finishing up the album in as neat a way as possible from BMTH, comes ‘i don’t know what to say’ a delicate acoustic and violin piece that’s accentuated with soft but deep synth bass. Bring Me The Horizon have done well on previous albums, there’s no argument here. But they’ve really outdone themselves here. Full of variety and talent, this album is never boring, with every track able to stand up on its own if needs be.